Rayon was the first synthetic fabric ever created. It was developed as a less-expensive alternative to silk fabric and, appropriately, was dubbed artificial silk. More rayon is manufactured than any other synthetic fabric, although none of the manufacturing is currently done in the United States. Most rayon production is done in Russia and Japan. The first synthetic fiber was produced in France in 1884 by a scientist named Hilaire de Chardonnet. In 1889, he manufactured what is known today as rayon. The first rayon textiles were highly unpopular because they were difficult to launder. Rayon was first manufactured for widespread commercial use in 1910. It was produced by Avtex Fibers Inc., a U.S. company. The Federal Trade Commission definition for rayon fiber is “a manufactured fiber composed of regenerated cellulose.” Cellulose used for the production of rayon comes from specially processed wood pulp. There are a number of types of rayon fibers used commercially, the most common of which is generated by the viscose process. Rayon has many commercial, industrial and domestic applications. One of the most popular uses of rayon is for apparel. Formal wear, skirts, slacks, dresses, blouses, lingerie, jackets, hats, sportswear, suits, ties and work clothes are all made out of rayon. Feminine hygiene products and disposable diapers contain rayon. Medical surgical products, tires, bowling balls, photographic film and other industrial products utilize rayon fibers. In the home, furniture upholstery, slipcovers, sheets, bedspreads, blankets and drapes can be constructed of rayon. 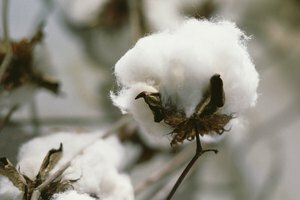 Because of the addition of chemicals to the viscose rayon solution, flame-resistant rayon can now be manufactured and used in institutional fabrics. Rayon has a number of characteristics consumers and manufacturers find beneficial. Rayon is highly absorbent and easy to dye. In addition, rayon drapes well and is soft and comfortable to the touch. A well-known trade name for rayon is Modal. 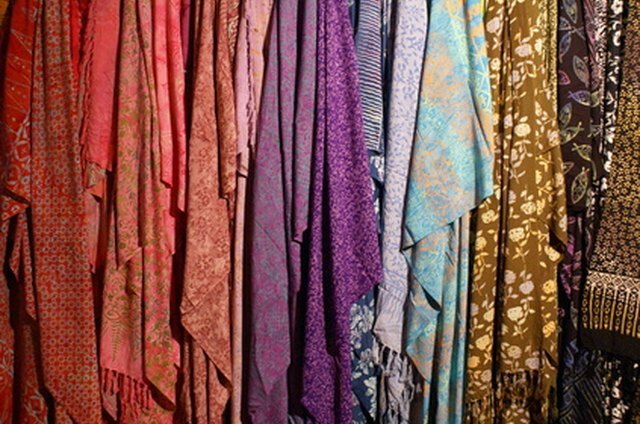 According to Fabrics.net, the first rayon was referred to as artificial silk, a term that textile markets found offensive. A contest was held to name the new fabric, and more than 10,000 ideas were sent in. None of them was accepted. Legend has it that a member of the committee formed to select a new name for the new textile said, ”Let’s just see if we can shed a ray of light on this problem. Why not the word 'rayon'?” Rayon is derived from the French word meaning rays of light. And so, in 1924 the name of the fabric became rayon. Most rayon garments should be dry-cleaned. Some can be hand-washed or put in the washing machine on the gentle cycle. Rayon garments and accessories should always be ironed with a cool iron.